It is hard to imagine a modern household without a washing machine.When it quits operating out of the blue, it can adversely affect your plans. If you’re not keen on spending your time in the Laundromat, you should contact our company as soon as possible. Washing machine technicians of Airdrie are skilled and experienced in servicing all types of laundry room appliances.Regardless of the brand you have, they can get it back up and running in a flash. So if your unit is on the blink, schedule same day washing machine repair right away.Whatever the case is,we can change the situation for the better! 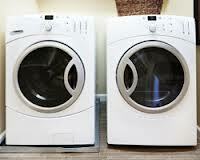 Our company provides quality washer service throughout the Airdrie area in Alberta. If you have any concerns related to your laundry room appliance, contact us and our representatives will help you make an arrangement.At Appliance Repair Airdrie, we always put our customers’ needs first. Which is why, we strive to keep our prices competitive while delivering superior service.If you have been searching a skilled pro, our company has got you covered. Washer repair is a complex and time-consuming process. To make it easier, you should entrust the task to well-trained specialists. Our company has a vast experience in handling such situations.We are ready to send out a tech the same or next day of your call. Skilled and qualified washing machine technician will diagnose your broken unit and offer the most optimal solution to you. When partnering with us, you don’t need to worry about the result and pricing. Be it a washer installation, repair, or maintenance, you can rest easy knowing the job will be done on time and on budget. 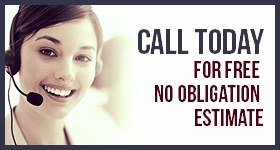 Feel free to contact our company whenever your washer requires professional attention. Whatever your needs are, let Airdrie washing machine technicians take care of them!